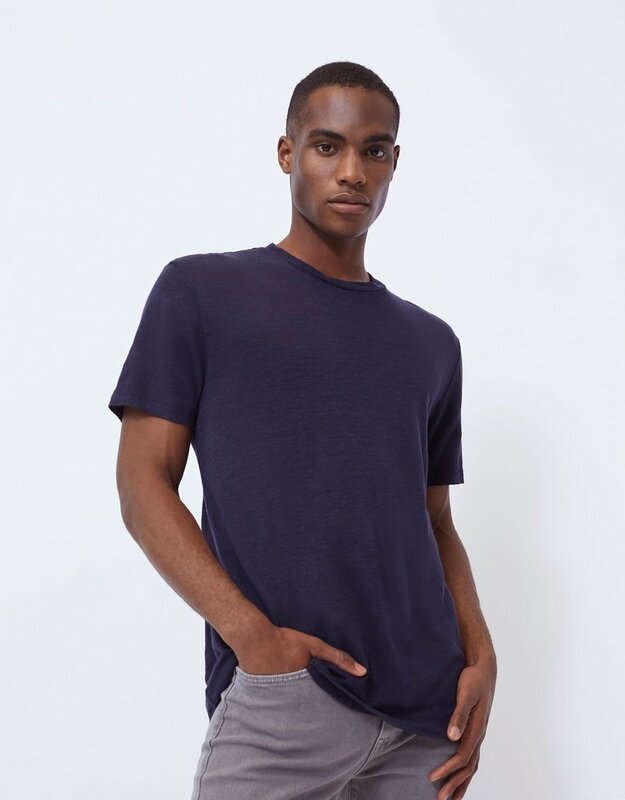 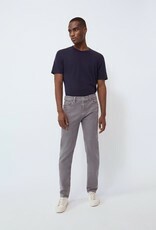 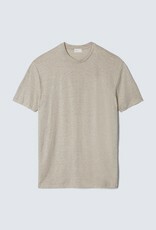 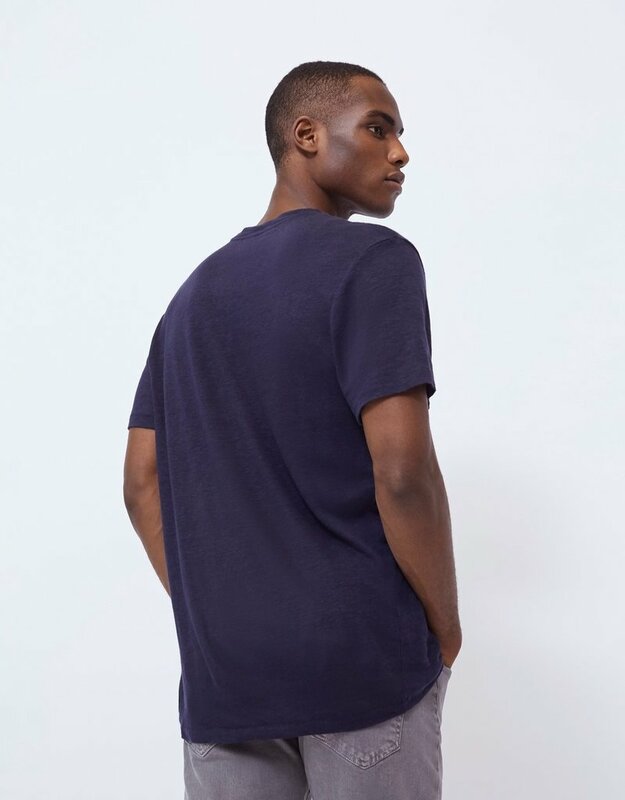 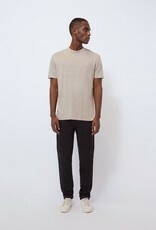 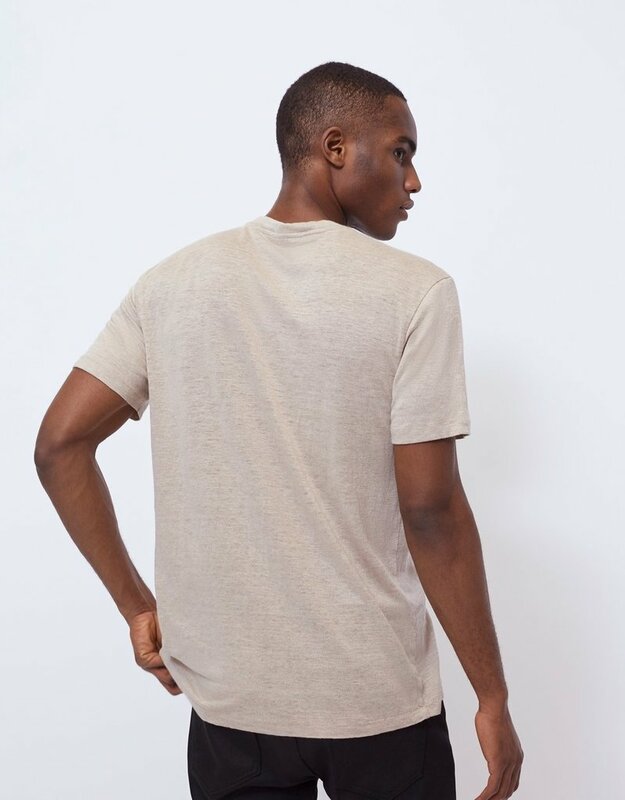 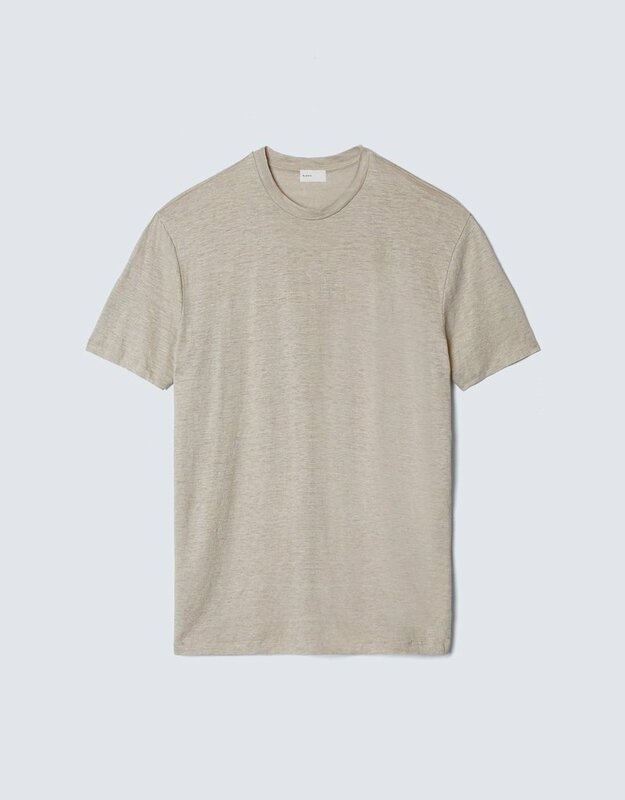 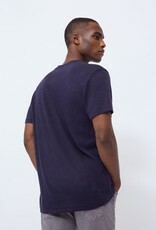 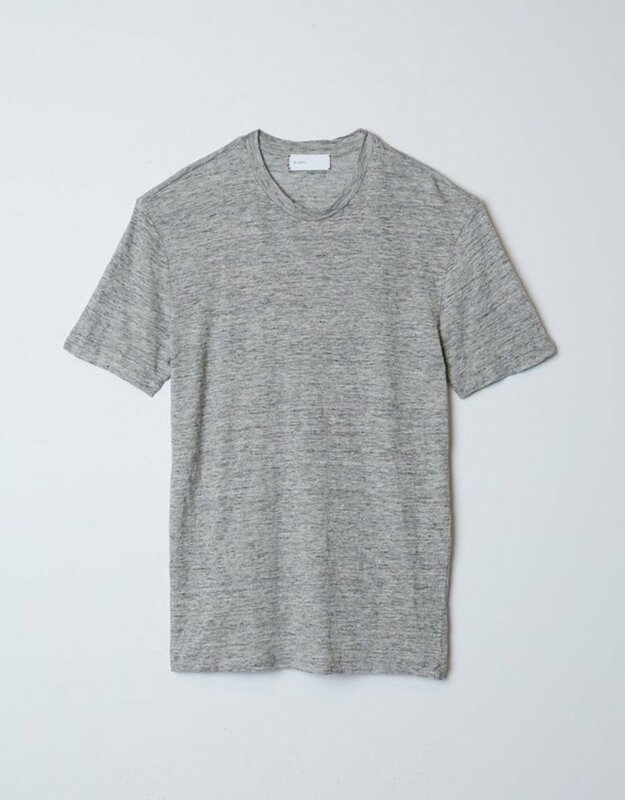 A short-sleeve crewneck tee constructed from washable lightweight Japanese linen. 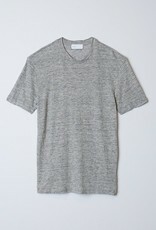 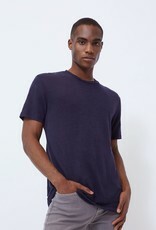 This style features a standard fit and tonal jersey neckline. 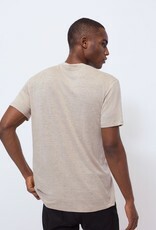 Also available in off white.